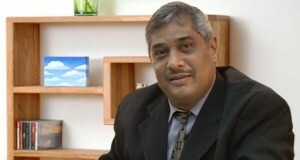 The Guyana Revenue Authority (GRA) Thursday decided to fire Commissioner General, Kurshid Sattaur, the tax collection agency said in a brief statement. At its 171st meeting held today, January 21, 2016, the Governing Board of the Guyana Revenue Authority (GRA) took a unanimous decision to terminate the relationship between Commissioner General Mr. Khurshid Sattaur and the Revenue Authority. This decision will take effect on March 1, 2016. Acting Commissioner-General, Ms. Ingrid Griffith will continue to function in the position of Commissioner General until further notice. Sattaur was sent on 200 days leave in December, 2015 to pave the way for an audit of the GRA.